Whether you’re just getting started or scaling fast, we know that there are some amazing tools that can save you headaches plus hours and hours per week. Not only that...they will help you implement and automate important marketing activities, and save you money! We’ve divvied up our tools to match the stage of business you’re in so that you have the right tool for the right stage. That way you won’t spend needless time and money on something that isn’t the right fit for your business. I’ve personally used each one of these tools and resources to grow my business and that of my client’s as well. I take time to find the best tools then I start by testing it out on my business before I even suggest it to my clients. So you can see that this list is carefully curated and vetted. Many of the links are affiliate links, which means I may get a commission if and when you make a purchase. The good news is that none of the prices of these resources have been increased to pay me for suggesting them to you. I’ve been in business for awhile and I’m ready to start scaling it fast. When you are just starting out, your main focus should be on building you online hub (your website) creating amazing content (blogging) for your ideal client and growing the all important email list. I’ve carefully curated this list below to get you implementing using the right tools and taking into consideration a tight budget. I recommend that you create a website using wordpress.org. My #1 recommendation is to go with Blue Host for best prices and reliability. They make the entire process simple with a 1 click wordpress install. Build beautiful WordPress sites with this easy to use drag and drop page builder. Every control has been meticulously selected to provide the best user experience and allow you to design at record speeds Reach high-end designs, without coding. The resulting page code is compact & optimized for every device and screen. 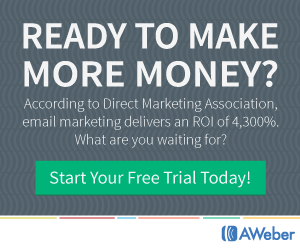 When I have clients just starting out building their lists, Aweber is my number one recommendation for taking care of their list building and email marketing needs. With Aweber it is simple to create great looking email and web form templates using their drag and drop builder. This resource has helped my build my list faster and get more people into my webinars. I personally love LeadPages because it has helped me to scale my business and my client’s businesses because it allows our team to confidently roll out lead-generating campaigns in record time. No more headaches wondering if all the parts and pieces of my business are working together. I found out that I needed more automations to run my business and no longer wanted to patch a bunch of platforms together that didn’t really do what I wanted. Kartra is a shopping cart, email provider, membership site, landing page and funnel builder all rolled into a neat package that does what I want, how I want it to…all in one place. Test drive Kartra RIGHT NOW and pay just $1 for a 14-day trial. You read that right. Just. One. Dollar. Kartra is so easy to use, you can have your first campaign up and ready to start selling for you in just a couple of hours. No, seriously! It won’t take long at all for you to see how Kartra can radically simplify your life and supercharge your business. Need a professional looking logo FAST? Then LogoJoy an online logo maker is something worth taking a look at.I personally used LogoJoy to create my logo here on my site in less than 30 minutes and I can tell you I am thrilled with the results. Gone are the days of complicated shopping carts that don’t sell your stuff. So simple to get started, shopify give you the ability to organize your products, create a customstorefront, accept credit card payments, track and respond to orders. Automate your social media marketing and build your Tribe faster with this handy tool! This is the best one I’ve found because all you need to do is set up your content once and it keeps rotating out on social media FOREVER. Have an Instagram and or Pinterest Accounts? This the best way to automate and build your Tribe out on these platforms. Learn how to create your coaching dashboard so you can take your business with you! Check out how I’ve used google to automate and integrate important documentation to run my (and my clients) business right here. For sharing and storing files I don’t know about you but I struggled to find a good backup service for years – I would either forget to use the service (if it wasn’t automatic) or it would hang up my system each time it was doing a backup. Enter Dropbox, which does a seamless “sync” of your files to their online servers – not only is it a backup, it also becomes a way to access your files from anywhere you like. You can also share folders with other people on your team (vs. always trying to send stuff via email). Love love love this tool, I would sing it from the mountain tops. Need great looking graphics in a hurry? Then Canva is the ultimate design tool for non-designers like me. It’s easy to get started and the free version gives you pretty much everything you need. We like to use Canva to create social media images, Opt ins, Workbooks and even video thumbnails. At this stage in your business, you’ll be seeing success with your 1:1 services. You’re probably looking to see how can I scale my business without burning out? Now is the time to consider creating online courses and this list of the tools will support you in scaling your buisness to the next level. I found out that I needed better automation to run my business and no longer wanted to patch a bunch of platforms together that didn’t really do what I wanted. Kartra is a shopping cart, email provider, membership site, landing page, and funnel builder all rolled into a neat package that does what I want, how I want it to…all in one place. Teachable is what I use for my online course sales and delivery platform. It has helped me to easily create my online courses, set up payments and effective sales pages. You can create a course for free in minutes…all you have to do is get set up with your email and the name of your school. It’s as simple as that — no payments or credit card information required. I personally love LeadPages because it has helped me to scale my business and my client’s buisnesses because it allows our team to confidently roll out lead-generating campaigns in record time. Then LogoJoy an online logo maker is something worth taking a look at. I personally used LogoJoy to create my logo here on my site in less than 30 minutes and I can tell you I am thrilled with the results. There are lots of other ways you can record and host audios but I still have my audio acrobat account and use it anytime I want to privately host an audio. Now you can also use Audio Acrobat to host videos and you can’t beat the quality. Plus you don’t have to worry about other people’s stuff being featured at the end of your video like You Tube does. Another feature I love is that Audio Acrobat gives you great options for sharing your recordings – cool play buttons, download links etc… It’s an easy to use, offers customization which you won’t get with either Youtube or AmazonS3. I used to dread recording and editing my video until I found ScreenFlow. If you are using video in your business (and you should be! ), Screen flow is a powerful, easy-to-use software. I use it to record the contents of my screen when I create courses and trainpeopl on my team. You can also use ScreenFlow to create video from your webcam. Best of all is the simple editing features – you can add graphics, overlays even music by dragging and dropping these elements where you want them to appear. TRY SCREENFLOW & EDIT LIKE A PRO! 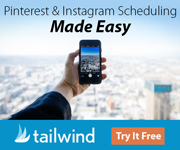 With bulk uploads scheduling this tool makes i so easy to post all of your visual marketing content to Instagram and Pinterest from one tool with a single workflow. Post all of your visual marketing content to Instagram and Pinterest from one tool with a single workflow. This the best tool to automate and build your Tribe out on these platforms. With Deadline funnel you can easily create urgency and more sales by making it easy to embed countdown timers into your emails that are synced with your sales pages. This tool makes it easy to embed countdown timers in your emails to add urgency. Webinars can be expensive and time consuming to set up. When I was in the market for tools to get my evergreen webinar set up I looked everywhere for a webinar provider who gave me all of the bells and whistles I needed without a premium price. Quizzes are what I personally use to build my list FAST. I set up my quiz in April of this year and now am getting 10-15 new sign ups a day on small Facebook Ads Budget. This quiz software made setting it up so very easy, you’ll want to try it out for yourself! This is my can’t live without project management tool. I could keep going on and on about why I use this project management tool. It’s safe to say that I would be running myself ragged trying to manage my team and my projects with out it! AW Pro Tools supercharges your Aweber Account. With this easy to use tool you can use Custom Fields and Tags to segment your subscribers and control which AWeber Campaigns are delivered to your subscribers. Automatically move, copy or tag subscribers when they register for a webinar and much much more! Trying to keep your passwords all up to date and organized is one thing you want to automate. With Last Pass, you add your information in one click and it auto-fills with the next time you log in saving you time and headaches that come from scrambling around trying to remember what goes where. Another great feature is that you can set up automatic sharing with your team and keep your information secure. This is an exciting time…things are happening FAST. You need want the right tools and systems to help you run the ship, sell more with less effort, and leverage your current position to scale and automate faster. At this stage in your business, one of the smartest decisions you can make is to start how delivering evergreen on demand webinars to sell your programs and services. This is how you start making passive income daily. Teachable is what I use for my online course sales and delivery platform. It has helped me to easily create my online courses, set up payments and effective sales pages. Save $20 off your next logo when you use this link. I use it to record the contents of my screen when I create courses and train people on my team. You can also use ScreenFlow to create video from your webcam. Best of all is the simple editing features – you can add graphics, overlays even music by dragging and dropping these elements where you want them to appear. Automate your social media marketing and build your Tribe faster with this handy tool! This is the best one I’ve found because all you need to do is set up your content once and it keeps rotating out on social media FOREVER. Have an Instagram and or Pinterest Accounts? This the best way to automate and build your Tribe out on these platforms. Selling products and programs? With Deadline funnel you can easily create urgency and more sales by making it easy to embed countdown timers into your emails that are synced with your sales pages. Webinars can be expensive and time consuming to set up. When I was in the market for tools to get my evergreen webinar set up I looked everywhere for a webinar provider who gave me all of the bells and whistles I needed with out a premium price. Webinar Ninja does that and more. They make it easy to set up your evergreen webinar fast. I’ve personally used each one of these tools and resources to grow my business and that of my client’s as well. I take time to find the best tools then I start by testing it out on my business before I even suggest it to my clients. This list is carefully curated and vetted by me personally and through my work with my 1:1 clients.